​​​Going to university is a big step and we know it can sometimes be challenging. So, we've put together a range of resources to help you settle in and get to grips with university life. To avoid overwhelming you with too much information in one go, we have arranged these resources into six themes - one for each of the first six weeks of term. 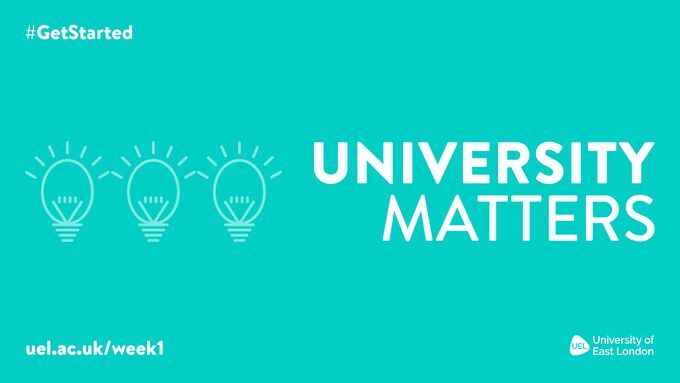 This week, we begin with University Matters. Below you will find some useful videos about the role of your academic advisor and tips by students on how to make the most of your first few weeks. Independent study is an essential part of studying at university – but this doesn't mean you are on your own. Your academic advisor is there to help you throughout the year to tackle any academic challenges you might face. Remember, never be afraid to ask for help. Have you downloaded the UEL Get Started app​ yet? Make sure you do – it has all the information you need as you settle in. And make sure you know how to access Moodle and where to get information about your classes, timetables and more.